Folic acid is a water-soluble B vitamin that is essential for numerous health functions in our bodies. It is mainly found in fruits and vegetables, specifically dark, leafy greens and beans. Our bodies cannot product folic acid, so it must be supplied through the diet or via dietary supplementation. This B vitamin is essential for the maintenance of cellular functions, the production of normal red blood cells, as well as helping to synthesize and repair DNA (genetic material of all living things). Thus, it plays a very critical role in promoting optimal cardiovascular and nervous system health. Research and development has come a long way with this B vitamin. 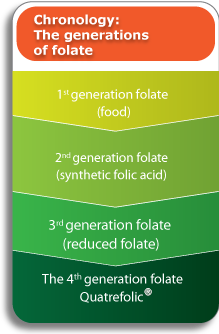 As you can see from the chronology chart below, there are 4 generations of folate, with Quatrefolic being the 4th generation and most active form available. Quatrefolic is the glucosamine salt of (6S)-5-methyltetrahydrofolate and is structurally analogous to the reduced and active form of folic acid. 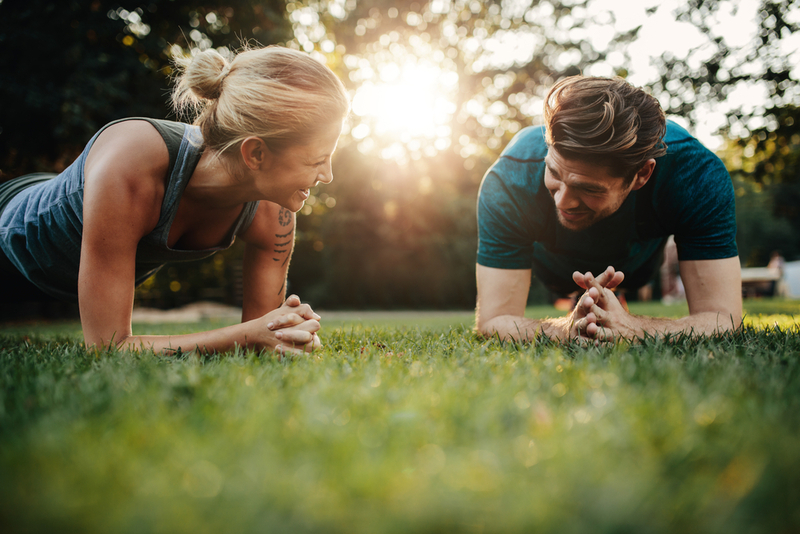 Because this is the form naturally present in the body, it is much more bioavailable for its biological action without having to be metabolized in the body. Basically, by consuming this form, your body can readily use it. Without getting too technical, the un-methylated form, folic acid, is a synthetic form of folate, and must undergo enzymatic reduction by methylenetetrahydrofolate reductase (MTHFR) to become biologically active. By using Quatrefolic, this step is bypassed. This patented ingredient also provides greater stability and higher water solubility. 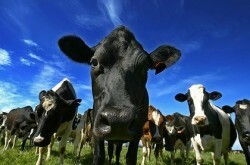 Additionally, the glucosamine is animal and shellfish-free, so Quatrefolic is an excellent option for vegetarians.